Though, I must say that crazy rally of cryptocurrencies has a huge role to play in making Blockchain popular. I know about Bitcoin for a long time but never invested in it and the same goes for Blockchain. Even though I knew about it I never thought to learn Blockchain development and writing tutorials about it, until I realize this may be the time to learn Blockchain. There is so much emphasis on Blockchain development as companies from finance, real estate, healthcare, and other sectors are very keen to learn about Blockchains and adopt them. Venture capitalists are currently diverting a lot of investments into funding Blockchain-based companies, which means there could not be a better time to learn about Blockchain then this year, and there is no better way to start with free online courses. In this article, I am going to share 5 free Blockchain technology courses, which will teach you the fundamentals of Blockchain, how it works and how disruptive it can be. If you want to become a Blockchain developer then these courses will help you get started quickly. Btw, If you don't mind spending a few bucks for your learning, I also suggest you check the Blockchain A-Z™: Learn How To Build Your First Blockchain Course on Udemy. It's one of the most comprehensive material on Blockchain for developers and you can get this on just $15 in Udemy flash sales which happens every few days. Here is my list of some of the free courses to learn Blockchain technologies and how to work with them. These courses will not only teach you fundamentals and basics e.g. 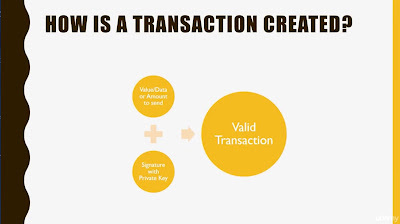 what is BlockChain and how it works but also show you how to create a smart contract and your own private network. The list also includes a course on writing HelloWorld program using Etherium network. In this course, you will first learn Ethereum blockchain, smart contract development, and how to create private blockchains. The course is also very hands-on as you'll learn how to set up the development environment and all pre-requirements from a clean Microsoft Windows image, which also makes it easy to follow the course. After learning the basics, you'll create a fully functional sample application. Your sample application is a distributed application that ensures a secure and trustworthy product lifecycle trail for batches of food, using blockchain technology. After completing this course, you should be able to create your own blockchain contracts and distributed applications with a functional development environment that makes you productive for years to come. This is a great introductory course about Blockchain and anyone who wants to learn about blockchain technology can join this course for free. In this course, you will learn about blockchain technology (including mining, consensus algorithms, smart property, and smart contracts). The current status of blockchain technology, potential applications in Financial Services, Logistics, Healthcare, Energy, and IoT, and next steps regarding its deployment in your organization. The instructor, Melanie Swan is also an author of a published book Blockchain: Blueprint for a New Economy which means she has a good knowledge of Blockchain. 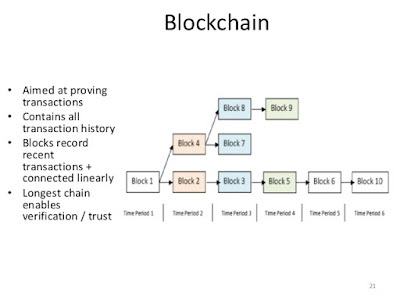 This is another awesome course on Blockchain from Pluralsight which provides an overview of how this technology works with BitCoin and Ethereum or other providers. In this course, you will start with the fundamental data structures and algorithms used to build a typical Blockchain and build up a working example over the course. 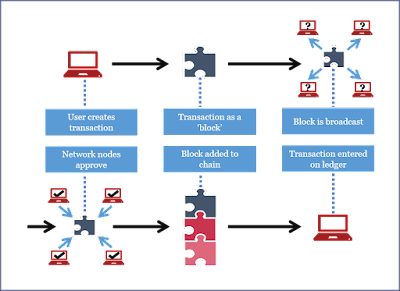 First, you will learn how to store single transactions in a block and later, you will discover how to store multiple transactions in a block using Merkle trees. After that, you will be taught how to make the Blockchain tamper-proof using mining and proof-of-work. Finally, you will learn how nodes on a Blockchain maintain consensus. After completing this course, you will have the knowledge and tools necessary to build your own Blockchain. Btw, these Pluralsight courses are not free exactly. You will need a membership to access these courses which cost around $29 per month. If you can afford then that's a good investment as you gain access to over 5000 courses on latest technology but if you can't don't disappoint, you can still get free access to this course by signing up for 10-days free trial. This is a good, practical course to begin your journey with Ethereum Blockchain Development, where you will learn how to create a Hello World Blockchain app in no time. This course is designed for programmers beginning their journey with Ethereum Blockchain Development and want to test their skills with a basic practical project before moving forward with more advanced Ethereum Development courses covering much more. In fact, this course is a sample of their more comprehensive course Ethereum Developer Masterclass: Build Real-World Projects, which teaches the Ethereum development in more details. If you are interested more in developing with Etherium network then you can also look at that course. This course is more interesting for all of those who get excited about the name of BitCoin and other cryptocurrencies. Well, there is nothing wrong with that. Most of us only get to know about Blockchain because of those cryptocurrencies and their phenomenal rise. This course will teach you Blockchain by explaining cryptocurrency first, which will help you to better understand how Blockchain itself works and how it is different from the traditional model of the transaction. That's all about some of the free courses to learn Blockchain technology. As I told, Blockchain development is getting a lot of focus because of its disruptive potential. It's not generating a lot of jobs yet but you can stay ahead of the curve by learning Blockchain right now. Apart from programmers and developers, these courses are also great for anyone who wants to know what is a BlockChain and how it works e.g. BA/PM and QAs. Thanks for reading this article so far. If you like these free Blockchain courses then please share with your friends and colleagues. If you have any questions or feedback then please drop a note. P.S. - If you don't mind spending a few bucks for your learning, I also suggest you check the Blockchain A-Z™: Learn How To Build Your First Blockchain Course on Udemy. It's one of the most comprehensive material on Blockchain for developers and you can get this on just $15 in Udemy flash sales which happens every few days.